Take the time to learn enough about the deity you're working with, so that you can figure out what is a good idea for an offering. Offerings are typically made to show honor, respect, and gratitude. Different types of gods and goddesses have different expectations that you should try to consider when making an offering. So the question arises, then, of what to offer them? Different types of deities seem to respond best to different kinds of offerings. For example, you wouldn’t offer flowers to a war god, would you? When making an offering, it's important to think about what the god represents. 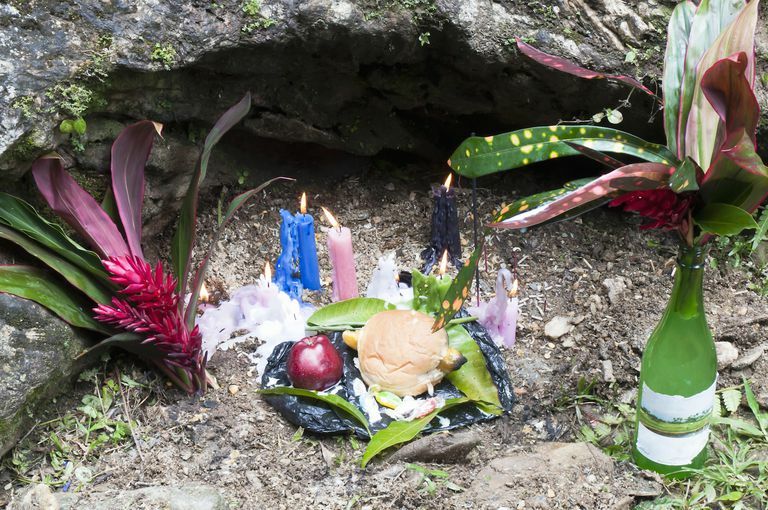 Make offerings to keep your oxen in good health. Make the following sacrifices to Mars… three pounds of wheat, four-and-a-half of lard, four-and-a-half of meat and three pints of wine. While it's probably not necessary to go that far and offer up enough food to feed a small army to your god, the passage does illustrate the fact that our ancestors thought enough of their gods to take their offerings very seriously. More importantly than thinking about what the gods represent to you personally, though, is to pay attention to what they have demanded of others in the past. This is an example of appropriate worship—taking the time to learn enough about the deity in question so you can figure out what is a good idea for an offering. In other words, what do they normally ask of those who follow them? If you can be bothered to make the effort, chances are good that your respect will be duly noted. Hearth and home deities seem to appreciate offerings that come from the kitchen and garden. Take the time to grow and harvest something, or to make a contribution you've baked or cooked yourself. Goddesses like Brighid and Hestia in particular appear to respond well to a home cooked item, or even a craft project that reflects domesticity, such as knitting, sewing, or painting. When you're making an offering to a god or goddess of love and passion, think outside the box. What items bring seduction and romance to mind? We often make the error of offering garden and nature deities plants or other such items—the problem is that they already have those things, so why would they want them from us? Instead, leave them fresh items from your home, or other things that you wouldn't normally see in the garden. When you're thinking about prosperity, think of items that reflect abundance and growth. Food and dairy items are always acceptable, as well as certain herbs. What makes you feel abundant? Ancestor spirits can be tricky to work with, because not everyone's ancestors are the same. In general, it's a good idea to take the time to learn about your own heritage before making offerings. However, some typical items that make good offerings - no matter what your background - can include food and drink from your family's meal. Fertility deities like Bona Dea or or Hera often appreciate offerings relating to conception and pregnancy, such as dairy products, baked goods, and herbs associated with fertility. Feeling Lusty and Passionate? Blame Eros!